1900. 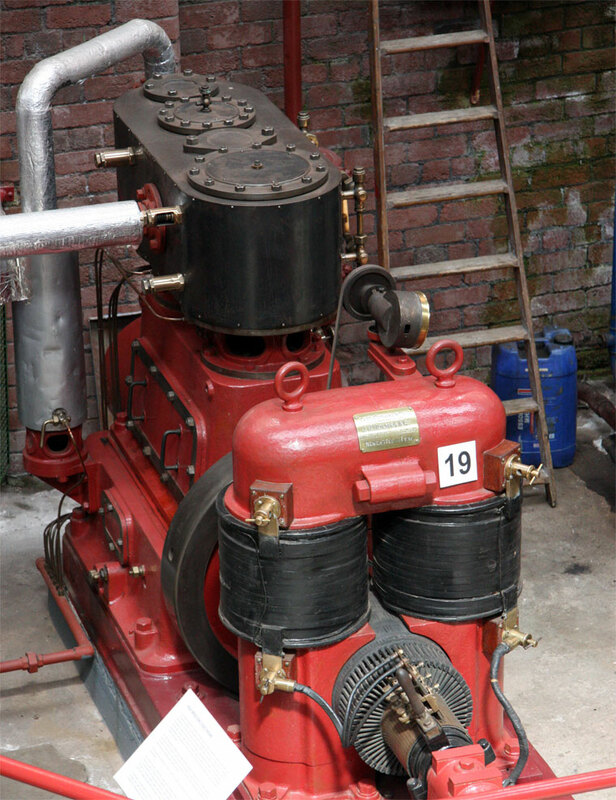 High-speed inverted vertical compound engine by Browett, Lindley and Co and coupled to a 110v dynamo by J. H. Holmes and Co. Exhibit at Bolton Steam Museum. 1940. 2kW charging set for the Post Office. Exhibit at Amberley Working Museum. of Hebburn, Co. Durham (1937). 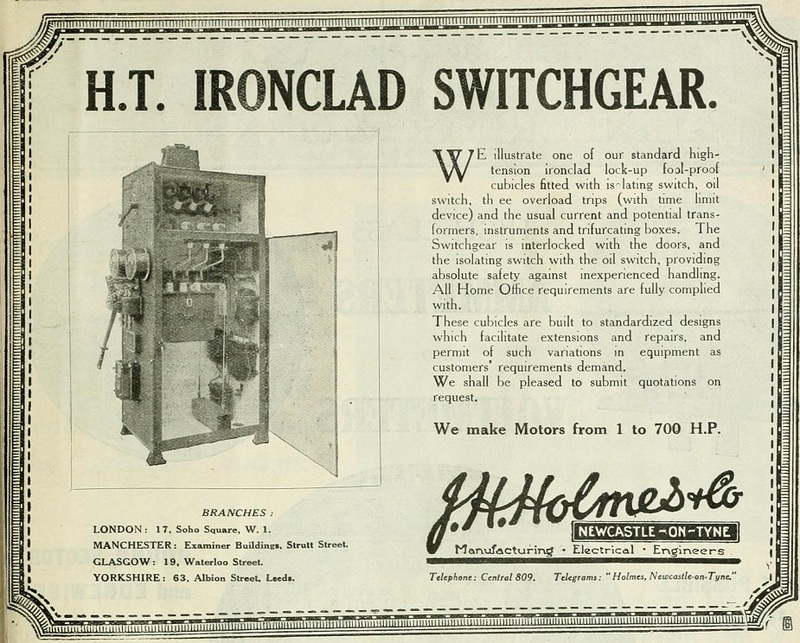 J. H. Holmes and Co of Newcastle-upon-Tyne were makers of dynamos and motors. 1883 Company established by John Henry Holmes with his father and two elder brothers. 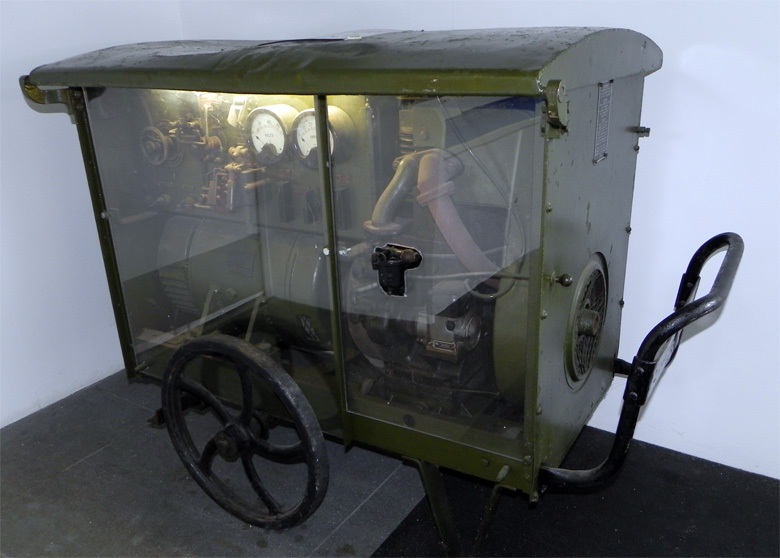 1889 Dynamo combined with an engine from Robey and Co at the RASE in Windsor. 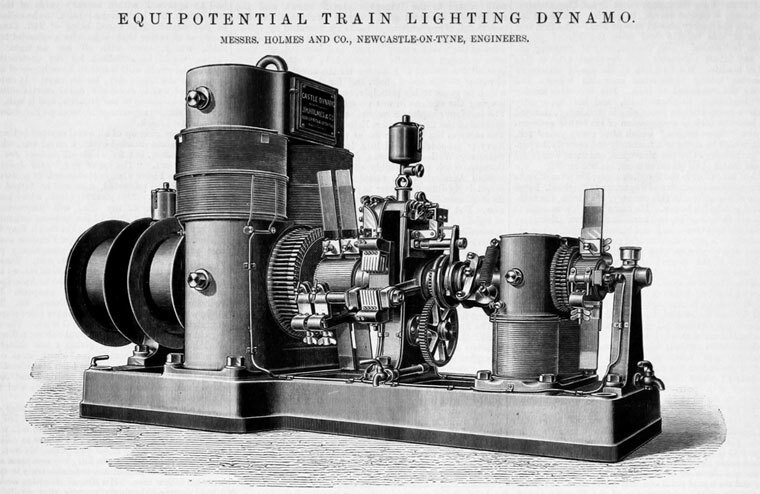 1900 Details of electrically driven printer's machinery. 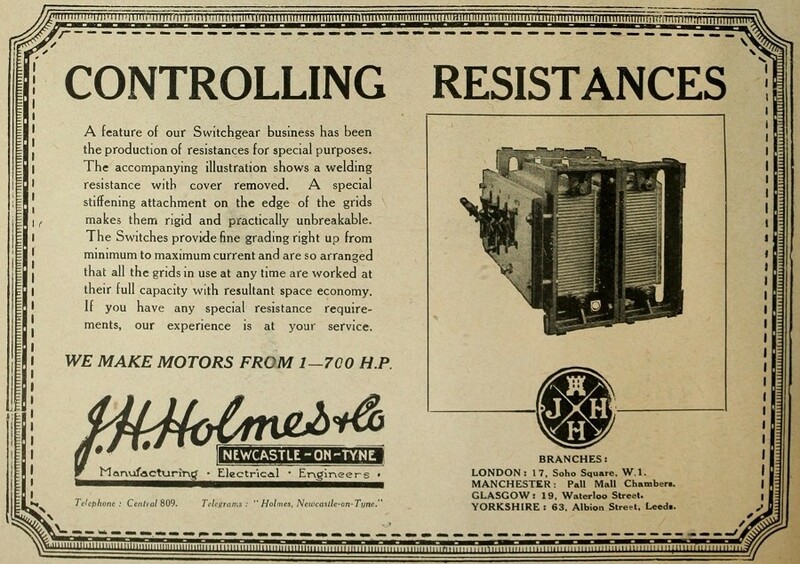 1920 Showed at the Darlington Agricultural Show with Robey and Co.
1928 A. Reyrolle and Co incorporated J. H. Holmes and Co as a wholly-owned subsidiary, electrical and general engineers. 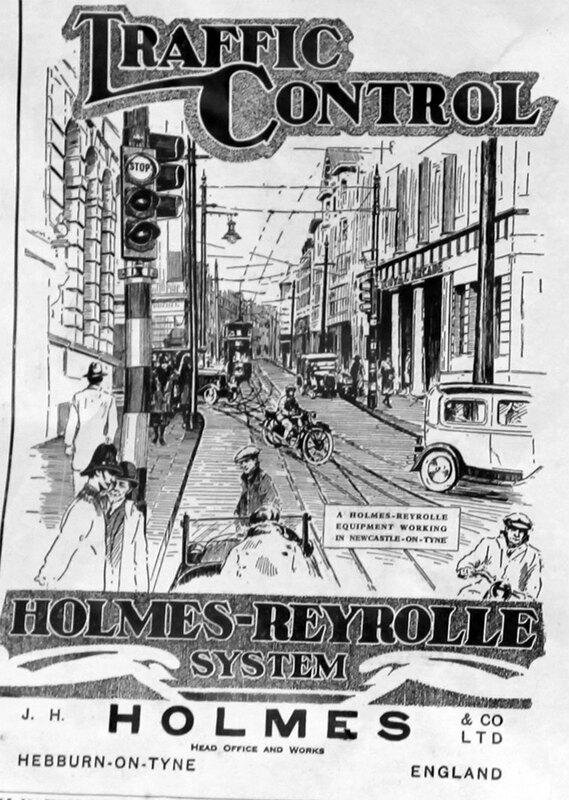 Reyrolle continued the established goodwill and traditions of the firm. 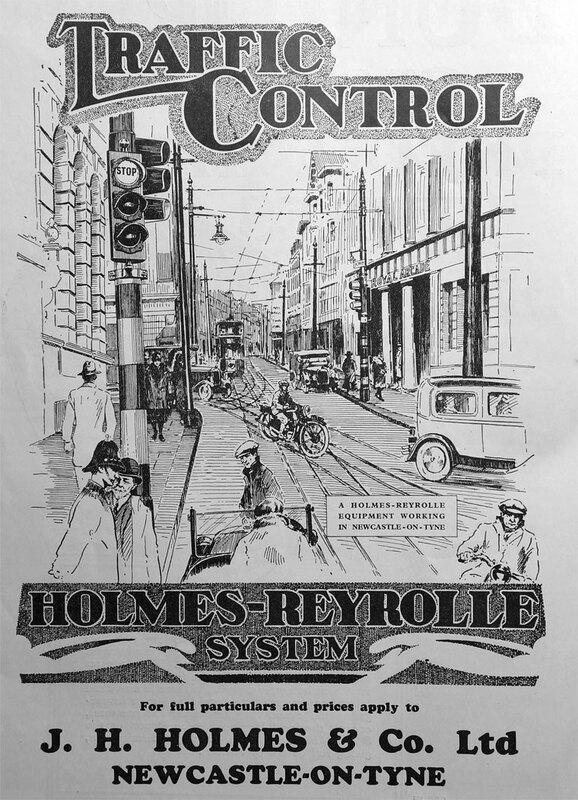 1933 Holmes-Reyrolle System Traffic Control.